"You are better than good, you are great! We appreciate your ability to complete our requests in an expedient and competent manner. Your prompt attention and concern for our wishes is very professional and you make us feel comfortable in our dealings with you. Thank all of you for all you do." "We are very pleased with the Clever Mutt™ Team. Every request we made was properly and promptly executed and the results were more than satisfactory." 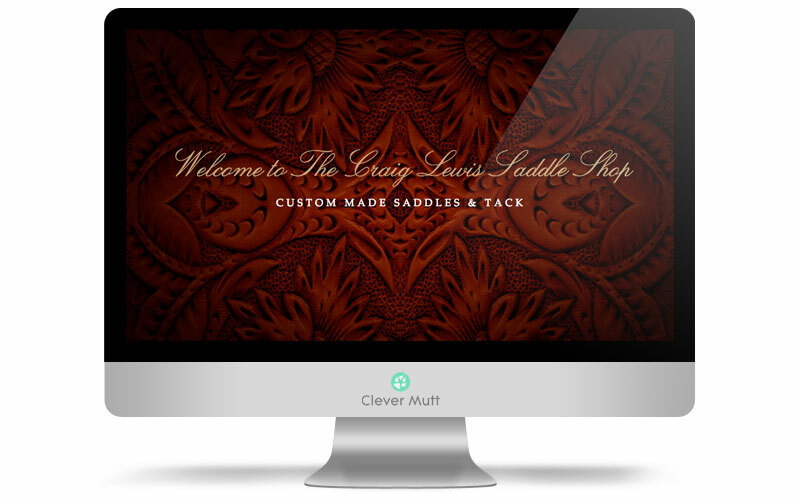 Needing faster and reliable turnaround times, Craig Lewis Saddle Shop hired Clever Mutt™ for rapid and reliable website maintenance and hosting services for their existing website. Craig Lewis has not only day worked all over West Texas but he has also worked on some of the bigger ranches such as the Pitchfork, Four Sixes, Moorhouse, Tongue River, Shannon, Long X and McCoys to name a few. Craig still day works some in the Spring and Fall each year only confirming that he has used a saddle once in a while.